Can “Buddy Networking” Work for Introverts? Last week, I tested out the theory of “buddy networking” with a fellow introvert at a Women’s Executive Network cocktail series event at the beautiful Rosewater Supper Club. Both of us have talked before about how intimidating networking solo can be, so we thought we would test out how much more social we might be if we had each other’s familiar company to lean on. Like the typical keener I am, I was the first one to arrive. In fact the event was still being set up. The organizers were extremely welcoming, apologizing that the bar wasn’t open yet, which was fine by me, since I felt awkward enough without standing around drinking by myself while the crew set up around me! Luckily I had my trusty security blanket on hand – my iPhone 5! I browsed my emails and played candy crush until my buddy arrived. As the room began to fill up, we quickly realized that most attendees had come with a buddy, or two, or three! Everyone seemed to know someone there. Either that or they bonded extremely fast. We popped back some apps, sipped some wine and sat down to an inspiring presentation by the impressively young and ambitious Executive Director of #WeDayGlobal, Dalal Al-Waheidi. Then, it was networking time – EEEK! We chatted with a few friendly ladies, including one person in line for the bathroom, who I think I had the most in common with from a professional perspective, but didn’t get the chance to grab her digits. Then my introverted buddy suggested we try to meet and have a photo taken with Dalal Al-Waheidi. We approached somewhat timidly, possibly spurred on by some liquid courage. She was certainly popular, as it took some waiting at the sidelines of the group surrounding her to get close, but once we did, she was more than happy to pose with us. This experience for me was made easier by the warmth of the set up and the organizers, who never stopped smiling. I also think it helped that everyone was so moved and humbled by Dalal’s presentation (I call her by her first name because that’s how she was referred to by everyone there and I can’t imagine her called anything else). The good wine, yummy treats and swag didn’t hurt either! At the end of the evening, we didn’t walk away with fistfuls of business cards, but I consider meeting Dalal to be one valuable new connection, worth more than a dozen others that weren’t as meaningful or inspiring. 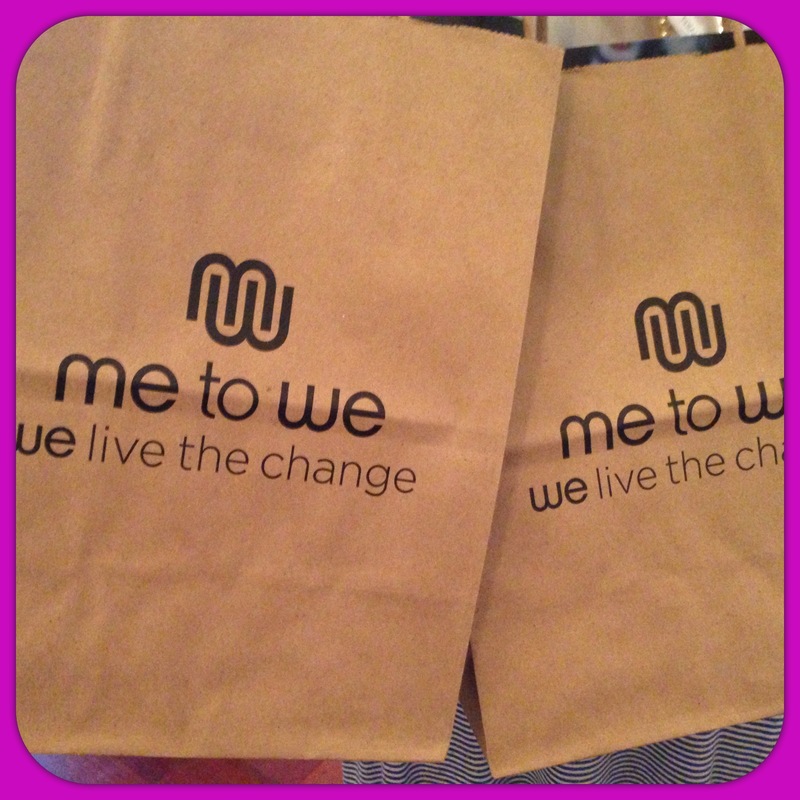 Learning about #WeDayGlobal and #MeToWe was also valuable, and made me want to get involved. So, perhaps networking events are not just about the human connections you can come away with, but the content as well. To sum up, I highly recommend giving networking with a buddy a try. I felt more confident and comfortable and the lack of pressure to talk to new people means the whole experience is much less stressful. If you’d like to give it a try, but aren’t sure where to start, I’m going to be hosting a contest soon where you can win a chance to network at a fun event with yours truly! Keep an eye on the blog for more details!